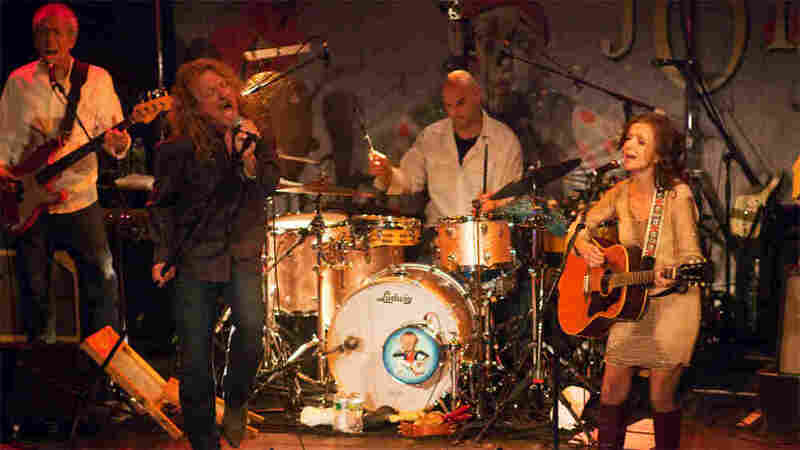 Robert Plant And Band Of Joy, Live In Concert Band of Joy doesn't just back Robert Plant. It's a band that happens to have Plant as a member. Listen to this remarkable ensemble run through several Led Zeppelin songs and some great covers at the Bowery Ballroom in New York City. 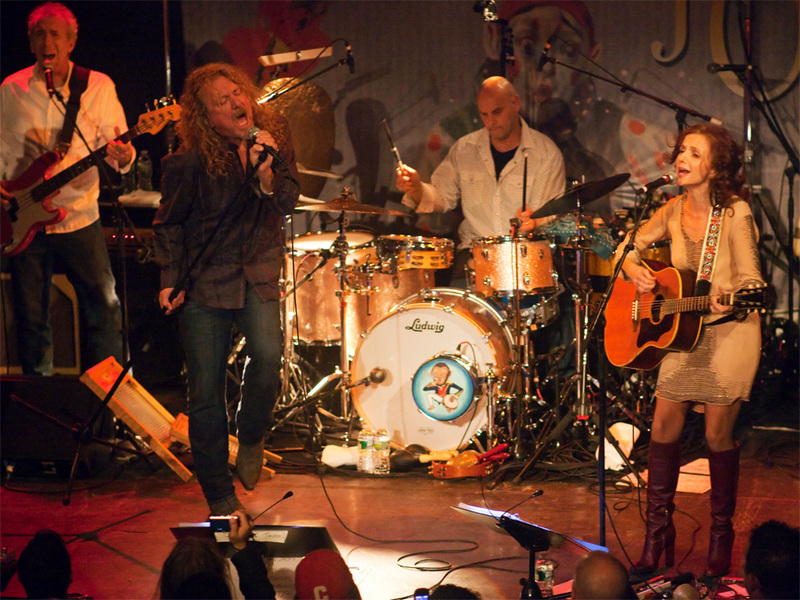 Robert Plant and Band Of Joy perform live at the Bowery Ballroom in New York City. This is an edited version of a full concert performed live at the Bowery Ballroom on Sept. 12, 2010. This was a show full of surprises. First off, Band of Joy wasn't just backing Robert Plant. It's a band that happens to have Plant as a member. Sometimes multi-instrumentalist Darrell Scott sung lead while Plant played harmonica. At other times, singer-songwriter Patty Griffin or country artist Buddy Miller took center stage. Sure, Plant was the main reason fans turned out at the Bowery Ballroom in New York City. But this was a remarkable band giving a stunning performance. Another surprise was Plant's demeanor. He never cut loose. Even on a song like the Led Zeppelin track "Gallows' Pole," there was no crazy wailing. In fact, all of the Zeppelin tunes were beautifully restrained. That led to another surprise: I never missed Plant's Zeppelin histrionics. His restraint was exactly what this setting called for. The show was still a memorable treat: Amazing players applying their craft to great American blues and old timey tunes, along with some good old rock 'n' roll. The final surprise was that I liked the covers as much as the Led Zeppelin songs. It's safe to say that everyone smiled a little more when Band of Joy launched into "Misty Mountain Hop," "Houses of the Holy," "Gallows Pole" and "Rock and Roll." But truth be told, traditional songs and cover tunes such as the Los Lobos cut "Angel Dance," a gospel medley that included "12 Gates to the City" and Richard Thompson's "House of Cards," are what ultimately made this night a perfect delight. The show was recorded at the Bowery Ballroom by Edward Haber, Irene Trudel, George Wellington and Mike Poole. It was mixed at WNYC's Jerome L. Greene Performance Space by Mike Poole and Edward Haber.